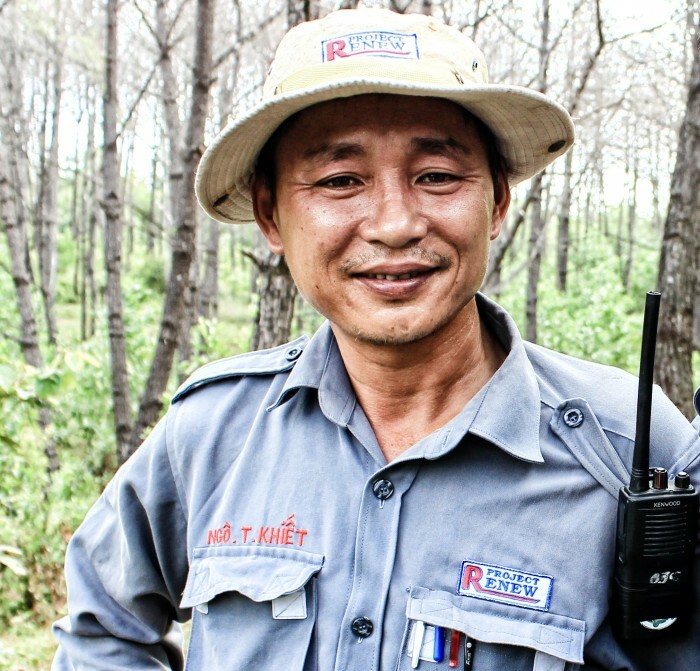 A cluster bomb explosion in Quang Tri Province has killed one deminer and injured another, both technical staff managed by Project RENEW and Norwegian People’s Aid (NPA). The accident occurred on Wednesday, 18 May, in Co Luy Village of Hai Ba Commune, Hai Lang District. Team Leader Ngo Thien Khiet, age 45 and one of Project RENEW’s most experienced and senior technicians, was fatally injured in the explosion and later died at the provincial hospital’s emergency ward. The other operator, 43-year-old Nguyen Van Hao, suffered less serious injuries and will survive the blast. Hao has been transferred to Hue Central Hospital for further treatment. The explosion occurred around 9:00 a.m. Wednesday when the technical survey team was searching for cluster munitions and other explosive weapons in a rice paddy field where local farmers had just finished harvesting their rice. The two casualties were immediately stabilized by team medics and evacuated to Hai Lang District Hospital, later transferred to Quang Tri Province’s General Hospital. Linh said the accident will be investigated to try to determine exactly what happened, to ensure that such an incident never happens again. “Our thoughts are with Khiet’s family. This is a terrible loss for the entire Project RENEW’s staff. It is the first time since Project RENEW was established in 2001 that our staff has experienced any accident — and this one is a real tragedy,” said Nguyen Hieu Trung, Project RENEW Coordination Manager. Since the war ended in 1975, cluster munitions, or “bombies” as they are called by local Vietnamese, have accounted for nearly 40% of total casualties in Quang Tri Province, according to statistics from the Legacies of War Coordination Center.